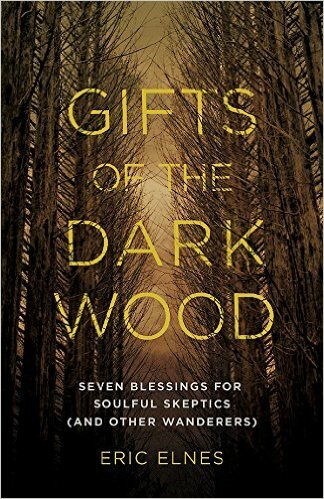 Gifts of the Dark Wood: Seven Blessings for Soulful Skeptics (and Other Wanderers) by Eric Elnes, Abingdon Press, 2015, 189 pp. 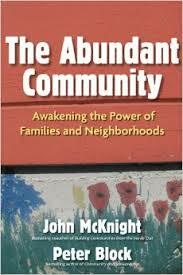 This book reached out and called to me. I just knew that there was something here I needed to read–a companion on my journey through a wilderness time in my own spirituality, relationship with God and sense of call. I went from ordering it to completing it in less than two weeks. I did not expect to find answers to my questions about “Where is God and what does all of this mean?” What I sought was reassurance that taking the path through the “Dark Wood,” as Elnes calls it, will eventually set me closer to God, not farther away. I hoped for guidance and companionship on that journey, a shared sense that being lost and in the dark is a gift rather than a liability. The title implied I would find all of those things, and I did. 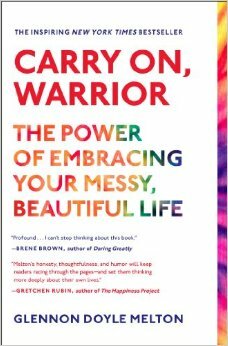 This book was a great sense of encouragement to trust the journey as it unfolds, even though the light is not clear. The book lifts up the power of the Dark Wood as the place where God can find us and claim us. This feels like just the affirmation I am learning to make right now, just the bit of wisdom I am beginning to understand and claim for my own life. Elnes enumerates seven gifts found in the Dark Wood journey: uncertainty, emptiness, being thunderstruck, getting lost, temptation, disappearing, and misfits. On first glance, these may sound more like burdens than gifts, but I recognized them immediately as blessed elements of my journey into the unknown. Each gift gets its own chapter, where Elnes explores that gift deeply, using both personal stories and stories from the scriptures to illuminate how that gift presents itself and points us toward God. I tried to articulate this very thing in my sermon on Sunday. Sometimes, rest is not what we need to overcome exhaustion–it is a deeper, fuller, more consuming engagement in that which gives life meaning. Another section I appreciated, in a related way, was his chapter on temptation. Elnes sees temptation in the Dark Wood not as the usual suspects of various indulgences, but as the temptation to do the wrong good–the good we are not called to do. Again using David Whyte as an example, he shows how his move from non-profit leader to poet moved him from doing good to doing his good, making his unique contribution to the world. Jesus’ temptation is the model. Satan (whom Elnes calls the Adversary) tempts Jesus not toward self-indulgence, but toward good things. They are simply not the right good things for him. I find myself in this bind of temptation regularly, and one of the lessons I am learning in my journey through the Dark Wood right now is how to let some good things go undone because they are not mine to do. The Dark Wood makes us misfits, unable to consume and be consumed by the systems of the world because we are shaped by the gifts of God. From beginning to end, this book is an affirmation that God will find us. When we get lost, get empty, grow uncertain, those are just the openings God needs to find us and use us. Whether you call it the Dark Wood, the wilderness, “the dark night of the soul,” or “the cloud of unknowing,” this book is an excellent companion for anyone journeying through that difficult terrain. It has blessed me and it will bless you too.